Can someone suggest what sort of improvements can be made to obtain better results? I've tried implementing another algorithm I found, but it provided worse results. Even when I ran it as-is through Matlab instead of my own C-version of the software. 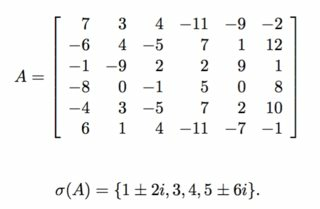 The matrix given as H(11) in your question actually does have the expected eigenvalues of $1 \pm 2i$, $5 \pm 6i$, $3$, and $4$. In particular, the eigenvalues of the 2x2 block circled in red are $1 \pm 2i$. It's a matter of pure luck that the 2x2 block in the upper left has the form that it does, making it obvious that its eigenvalues of $5 \pm 6i$. Not the answer you're looking for? Browse other questions tagged matrix eigenvalues or ask your own question. How to decrease computation time for symmetric matrices? 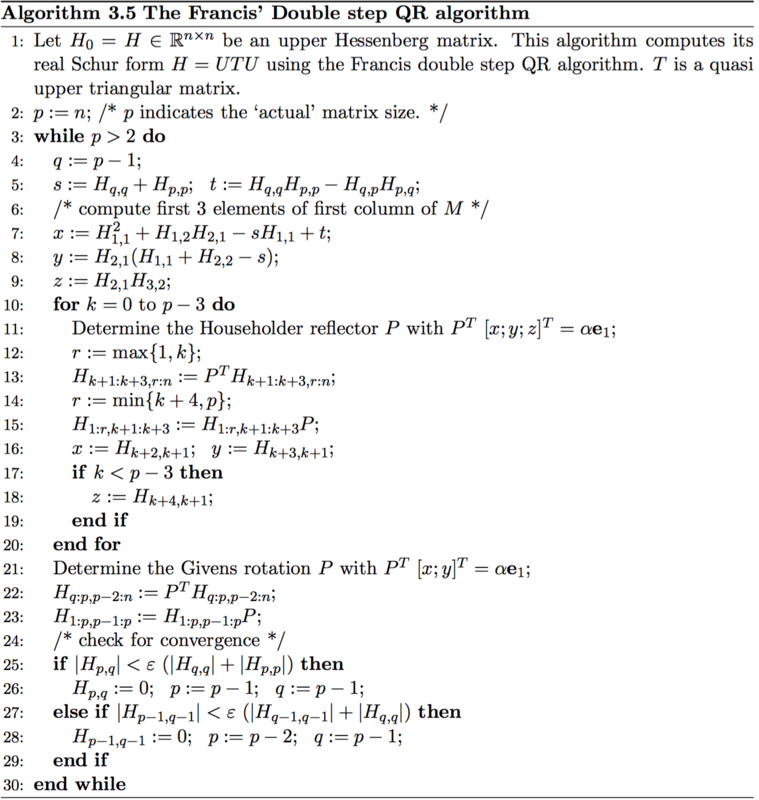 MATLAB : Does the qr algorithm and the DGEMM used in MATLAB take into account if the input matrix is tridigonal and optimize accordingly?